to grips with what their children learn in geography class by exploring all these topics and more. Covering all the important areas of human and physical geography, from geopolitics to geology, and from coastal erosion to cultural migration, Help Your Kids With Geography presents information in a visually appealing way by using clear graphics and instantly understandable diagrams. It features accessible, jargon-free text, giving parents and kids up-to-date and wide-ranging facts and information about the physical world and how humans affect, change, and move within it. UK Key Stage 3 and core Key Stage 4 topics for geography. The book includes a detailed and user-friendly glossary and index. 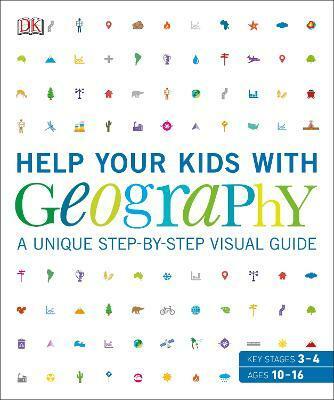 If you're looking for a one-stop-shop for the subject, Help Your Kids with Geography is the book for you.